The IBF super middleweight title-elimination bout between Caleb Truax and Peter Quillin on Saturday in Minneapolis, Minnesota, ended in a No Decision due to an accidental clash of heads that produced a deep gash over Truax’s right eye. 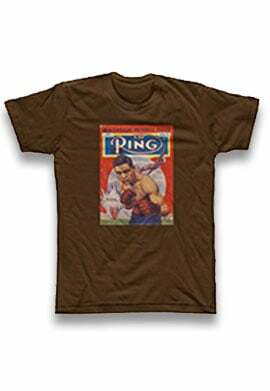 The ringside physician advised the referee to stop the bout because of the severity of the cut and the impaired vision of Truax, a Minnesota native. Both 35-year-old veterans are former beltholders in search of one more shot at a world title. 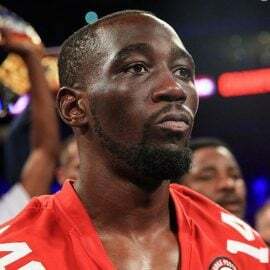 Had Saturday’s main event at the Minneapolis Armory, the headliner of an FS1-televised card, produced a winner, that winner would have become the No. 1 contender for newly crowned IBF titleholder Caleb Plant. 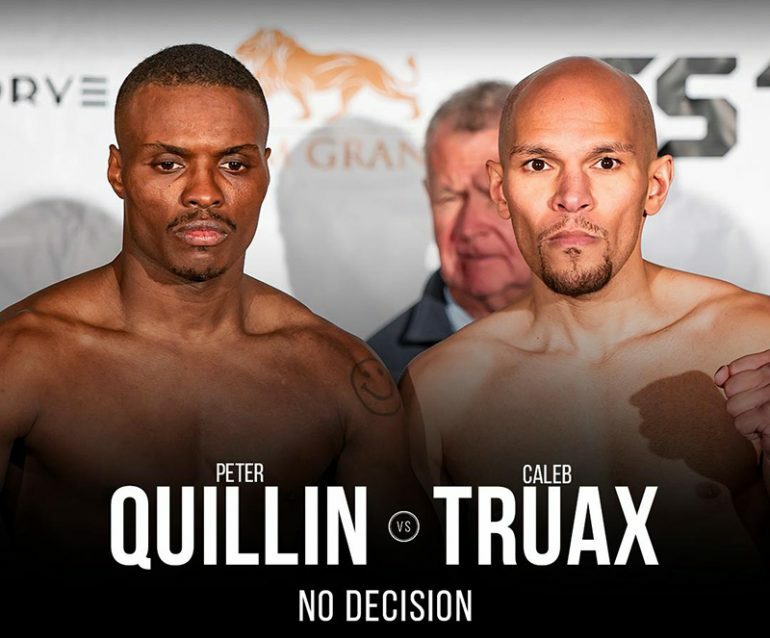 Unfortunately, after a feeling out opening round, the heads of Quillin (34-1-1, 23 KOs) and Truax (30-4-2, 19 KOs) collided one minute into the second round. The IBF could order an rematch once Truax’s eye is healed. 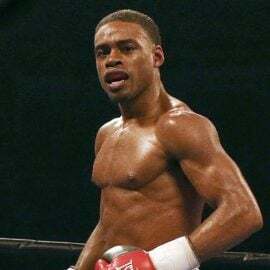 Quillin, a former WBO middleweight titleholder, has only fought twice since 2015. Truax won and lost the IBF 168-pound belt in back-to-back bouts against James DeGale in December 2017 and last April and is coming off a third-round stoppage of journeyman Fabiano Soares last August (which also took place at the Minnesota Armory). In the co-featured bout of the PBC show, Sergey Derevyanchenko won an IBF middleweight title-elimination bout with a unanimous decision over Jack Culcay. Derevyanchenko (13-1, 10 KOs), a 33-year-old Ring-rated contender, won by scores of 116-112 (twice) and 115-113 in a competitive fight. 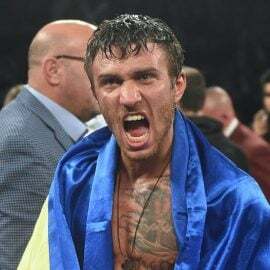 Culcay (25-4, 13 KOs), a 33-year-old Ecuadorian based in Germany, gave the strong-but-methodical Derevyanchenko fits with his in-and-out awkwardly athletic boxing style, which allowed him to time power punches upside the Ukrainian’s head. 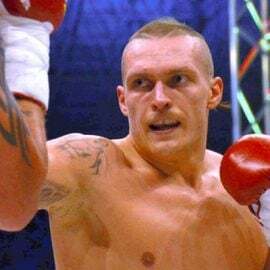 Culcay, a former European junior middleweight champ who had won three middleweight bouts after dropping decisions to Demetrius Andrade and Maciej Sulecki in 154-pound bouts that took place in 2017, rocked Derevyanchenko with a right hand at the end of Round 10. 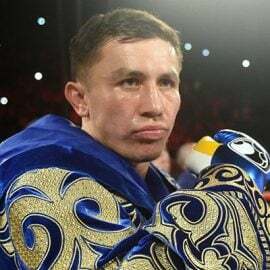 However, Derevyancheko was the forward-marching aggressor for most of the bout and his consistent offense carried the middleweight rounds. 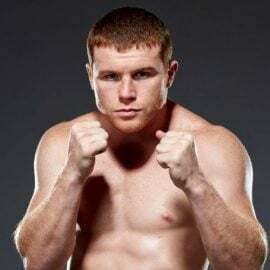 With the win, the Brooklyn resident rebounded from a split-decision loss to Daniel Jacobs and set himself up as a potential challenger for the winner of the May 4 Canelo Alvarez-Jacobs unified middleweight championship.